EBAN Living is enjoying and benefiting from all that life has to offer through outdoor experiences and physical activity. EBAN Living is acting freely in health, happiness and unapologetic authenticity! EBAN Living is “Storytellers” sharing their life experiences and lessons to help readers realize their unlimited potential. Their stories are a combination of motivationals, how-to’s, and inspiring designs that provide guidance, inspiration and/or address life challenges. How does EBAN Living do it? EBAN Living’s Storytellers are supported by EBAN premium hair and skin care products. All EBAN products are organic and specially formulated to defend against SUN, SALT, SWEAT and CHLORINE; elements that tend to inhibit Black people from living their fullest lives. When you buy EBAN products you support your favorite Storyteller while getting a premium product formulated especially for YOU! EBAN Complete Swimmer’s System is best for those who want to protect their hair against chlorine and/or salt from pool swimming or ocean swimming. Use EBAN Shield and the EBAN Lycra cap with the BKS Soak, Coat, Cover™ method before every swim. 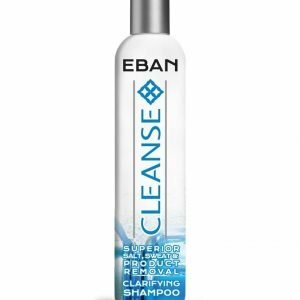 Follow with EBAN Cleanse Clarifying Shampoo, a superior chlorine removal shampoo, to gently remove chlorine from hair while restoring the natural pH to the hair and scalp. 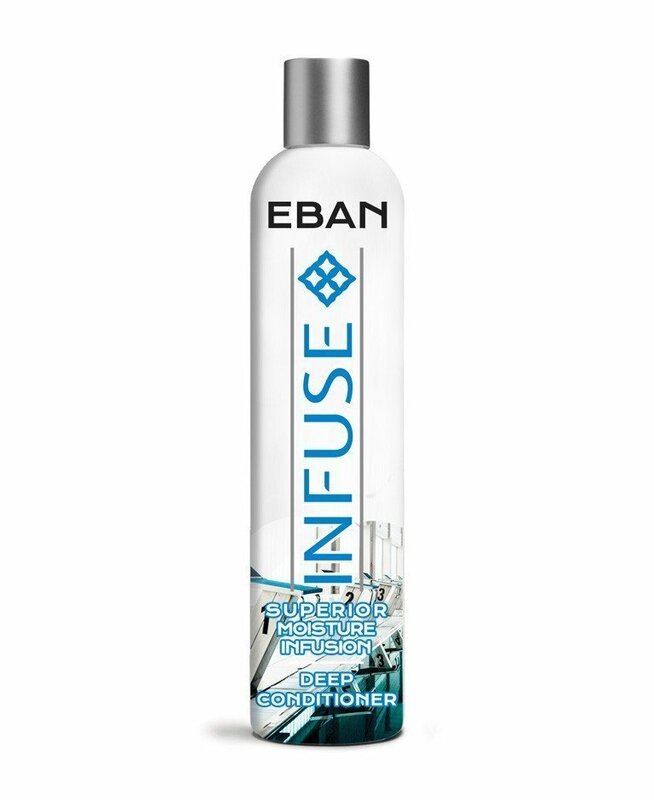 Then finish with EBAN Infuse Deep Conditioner to return moisture to hair after exposure to chlorine or salt water. The special combinations of Oils, and Vitamins hydrate and recondition hair, organic Pink Himalayan Salt and Tea Tree Oil gently cleanse the hair and scalp, and special Oils, and Vitamins hydrate and recondition hair. Superior hair protection for swimming with natural Black hair! 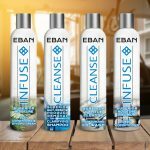 The EBAN hair care system was created specifically for Black swimmers to protect against salt water and chlorine damage, provide intense moisture and promote hair growth. This system is safe for use on all hair types and textures – both natural and chemically treated hair. Use all three products to keep your hair healthy and strong – even if they swim every day. 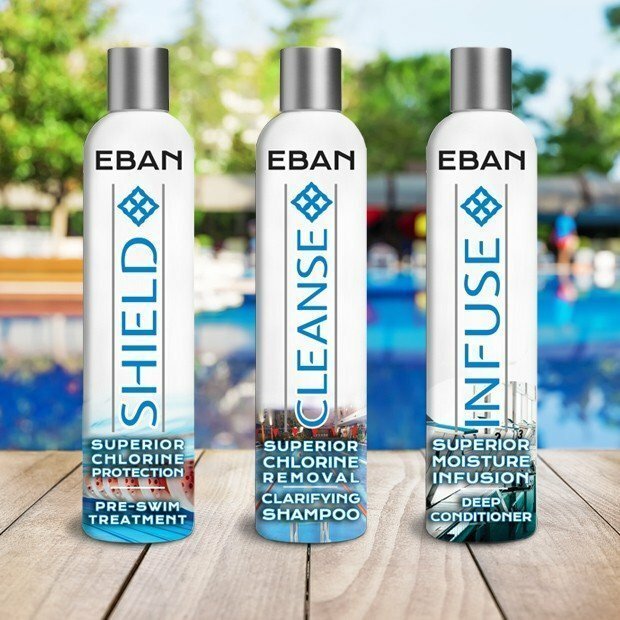 If you swim several times a week and suffer from dry hair, breakage, and hair loss or if you only swim occasionally for fun or on vacation – EBAN Shield is the perfect solution for you. 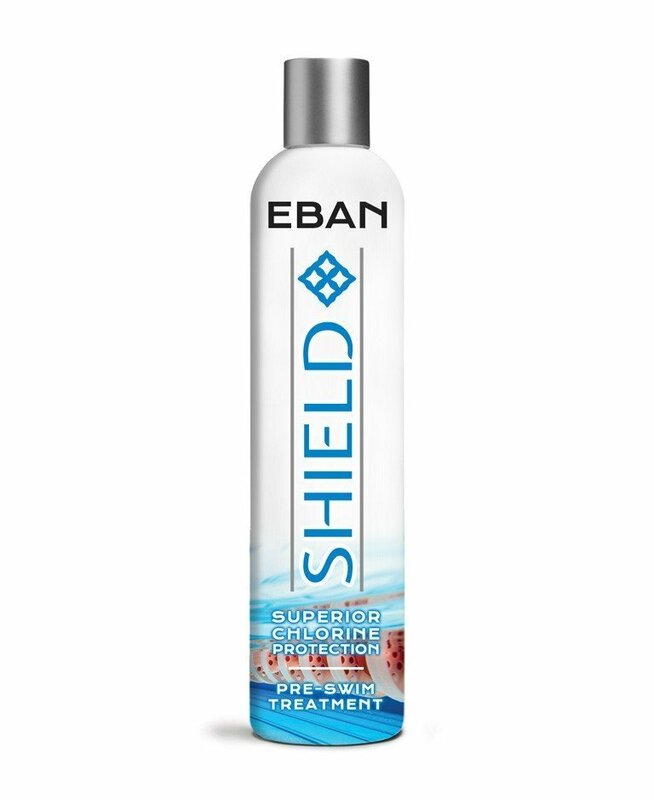 EBAN Shield is a protective moisturizer that prevents the harmful effects of exposure to chlorine and/or salt water, keeping your hair moisturized, strong, and healthy. 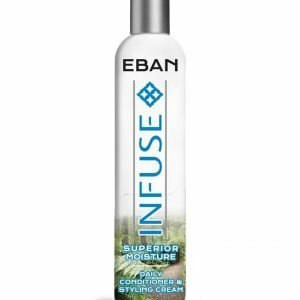 EBAN Shield’s special combination of Nettle Leaf Oil, Royal Jelly, and Vitamin C protects hair from harmful chemicals while stimulating hair growth. Use EBAN Shield and the EBAN Lycra cap with the BKS Soak, Coat, Cover method before every swim for optimal results. 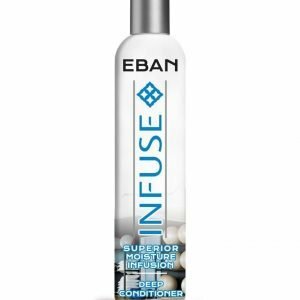 Finish with EBAN Infuse Deep Conditioner, best for swimmers who wash their hair frequently. 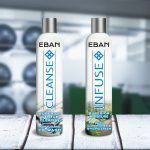 Use EBAN Infuse after EBAN Cleanse clarifying shampoo to return moisture to hair after exposure to chlorine. This special combination of Grapeseed Oil, Argan Oil, and Vitamin E hydrates and reconditions hair after washing. Powered by all natural conditioning agents to provide a deep hydration treatment for dry and damaged hair. The EBAN Hair Care System was created as an act of love by a swim mom for her daughter swimming with natural black hair. Daily exercise and exposure to chlorine led to hair and skin issues that began to discourage her daughter from participating in sports and athletic activities. Knowing that Black girls frequently quit swimming due to hair and skin care issues, mom knew she had to do something. To keep her daughter swimming, she researched the best methods and moisturizers to protect and maintain Black hair and skin while enjoying the sport of swimming. From that, the EBAN Swimmer’s Complete Hair Care System was created to protect the health and dreams of Black girls and women by protecting their hair from the damage resulting from regular exposure to chlorine. 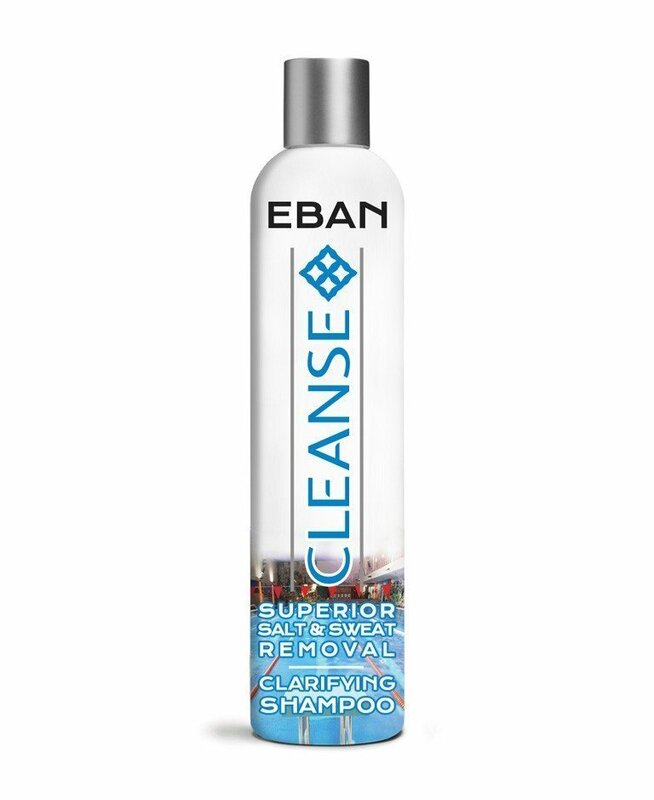 Use all EBAN products to protect, cleanse, and repair your hair, scalp and skin. The Rosemond Family is Moving to Africa! Are you an EBAN Living type of Storyteller? We'd love to have you on-board. Check out the details and let us know what you think. Are you a Blogger interested in becoming an EBAN Living Storyteller? 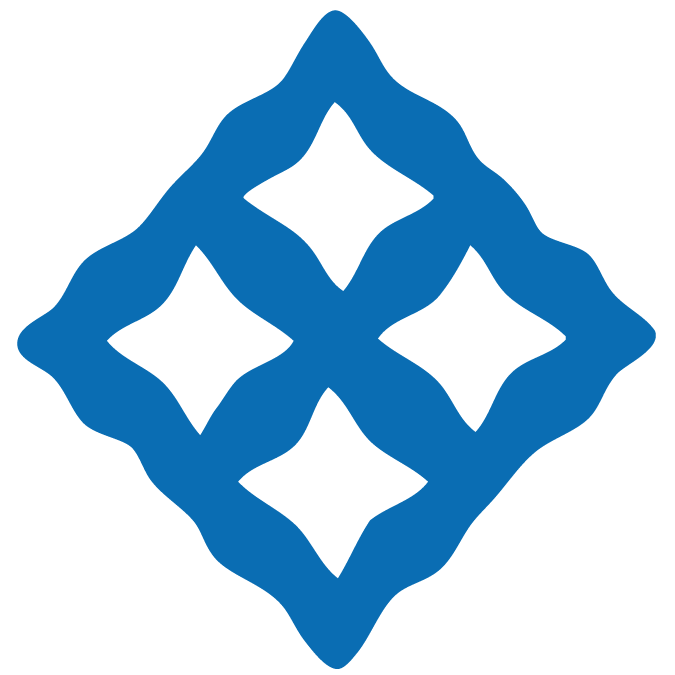 Are you a membership organization interested in partnering with EBAN Living? Stories Right in Your Inbox! Yup, I'm about that EBAN Life! We will NOT share your info with anyone. We promise. Our “Storytellers”, have faced challenges and decided to not back down, and they're sharing their Stories with the sole purpose of inspiring YOU. Using EBAN products supports our Storytellers, EBAN Living's Mission and YOUR Loud and Unapologetic Life!